We offer our client an excellent quality range of Metal Handicrafts, which are manufactured from high grade quality raw materials. 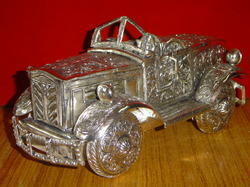 These Decorative Metal Handicrafts can be customized as per our precious customers specifications. 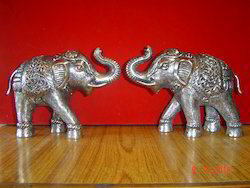 These Decorative Metal Handicrafts are widely known for their durability and quality. 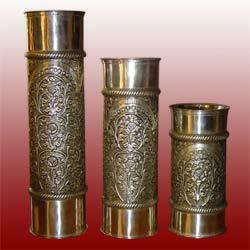 From the past couple of years, we are engaged in offering our clients a large collection of Metal Surahi. 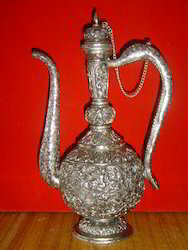 Being a reputed organization, we are manufacturing, exporting and supplying a distinguished collection of Metal Decorative Handicrafts. 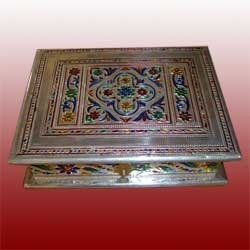 Offered decorative handicrafts are coated with rust proof surface finish in order to prevent it from water damage. Our decorative handicrafts can be easily placed in various places and increase the beauty of the room. Moreover, our valuable customers can avail these decorative handicrafts from us at reasonable prices. With immense experience in this industry, we are affianced in manufacturing, exporting and supplying an excellent collection of Metal Decorative Vases. 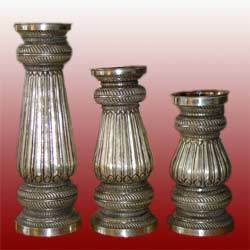 Our offered decorative handicrafts are developed by making use of high-grade metals and basic components under the surveillance of our expert professionals, who are well-versed in this domain. We offer these decorative handicrafts in diverse colors, sizes and designs as per customer’s requirements. 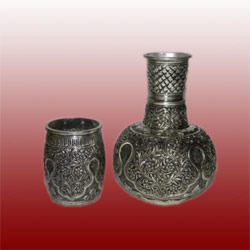 Besides this, our decorative handicrafts are appreciated by large number of clients due to high quality and durability. 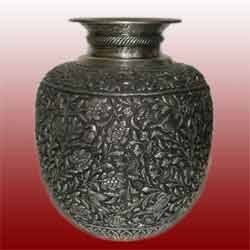 Under strict supervision of our skilled professionals, we are offering a distinguished collection of Antique Metal Vase which are used for home decoration and give a sophisticated look. Our offered decorative handicrafts are precisely crafted utilizing quality assured raw material and best tools according to the market trends. These decorative handicrafts are highly appreciated in market due to their various features such as durability, creativity, contemporary looks and many more. By utilizing skills of our creative designers, we are engaged in offering an interesting collection of Decorative White Metal Handicrafts. Our provided metal handicraft is crafted from the quality assured raw material and the latest tools in conformity with set market norms. 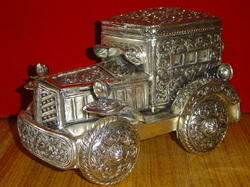 Also, our provided metal handicraft is accessible in different designs & sizes to suit various customers’ requirements. Our metal handicraft is can be used as decorative items to enhance the decor of homes, office spaces, hotels and restaurants. By utilizing skills of our creative designers, we are engaged in offering an interesting collection of Metal Decorative Handicrafts. Our provided metal handicraft is crafted from the quality assured raw material and the latest tools in conformity with set market norms. 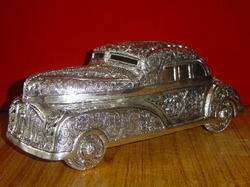 Also, our provided metal handicraft is accessible in different designs & sizes to suit various customers’ requirements. Our metal handicraft is can be used as decorative items to enhance the decor of homes, office spaces, hotels and restaurants. Looking for Metal Handicrafts ?